After: The weeded potato patch. Inspired by perfect Spring weather, last Wednesday morning I headed out into the vegetable garden. 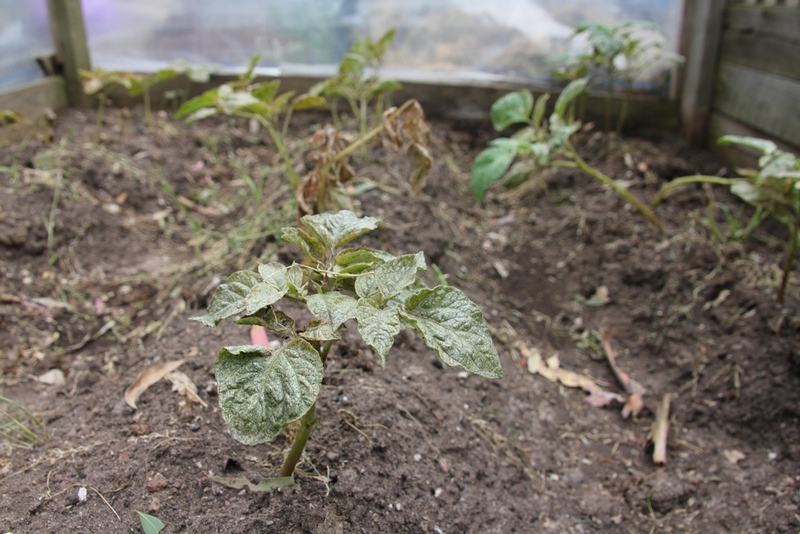 Now that the potato plants had sprouted leaves, I could see where they were and clear the ground around them. Surrounded by tall eucalypts and calling birds, it was easy to relax into the task. I realised this is what it must have been like for my ancestors, all of whom had settled in Victoria in the 1850’s (or before) and most of whom were farmers. The resonance was very strong for me and it felt almost like a flashback. Their farms would have been carved out of native bushland similar to the bush on our land, and some of these farms were in the same region we live in now. Their farms would have been populated by native wildlife and, by necessity, they would have had to grow their own food. One of my Great, Great, Grandfathers was a gardener by trade, and he passed these skills onto my Great Grandfather, who had a large orchard and vegetable garden. My mother remembers this garden, and the plants that grew in it. I began pulling out those weeds I recognised – milk weed thistle, dandelions and a dense ground cover I couldn’t name, but which rolled up, carpet-like, once I had lifted the edges. As I began to roll up the matted weed, mushroom shaped fungi were visible, along with a few unfamiliar plants. Doubts filled my mind. 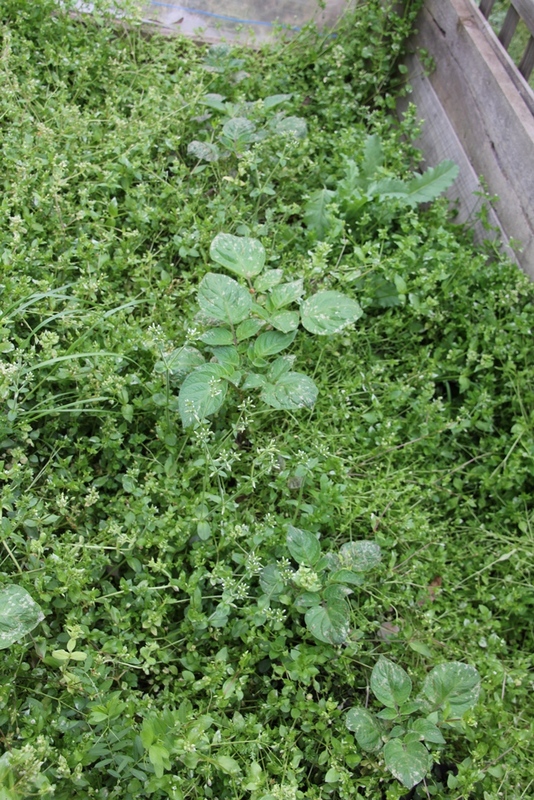 Maybe this weed was supposed to be here to hold the moisture into the ground, or maybe it was intended as green manure? I recalled recipes to make dandelion tea, and I had a vague recollection that milk-weed thistle was useful for something – but I could not recall if it was medicinal. As for the mushrooms – I had no idea if they were edible or not. My doubts were fleeting – I knew these weeds didn’t belong in the vegetable garden. I also knew that survival skills in 2012 are very different than they were in the 1850’s. What I couldn’t shift from my mind was that gardening skills had been passed down in our family, generation to generation, as far as my mother’s generation. It was my generation which had lost this knowledge. My brother, sisters and I grew up on a quarter acre block in the centre of a large rural town. While we occasionally had a vegetable garden, it wasn’t a constant. There was no need. Fruit and veg could be obtained reasonably cheaply and easily from local shops. When life was busy, the vegetable garden lay fallow, but Mum still retained a lot of plant knowledge. It was Mum who first identified the fruit trees in our orchard when we moved here. Kneeling in my vegetable garden among the potato plants, I felt like I had lost an important family skill. Our decision to move to a property where we could be more self sufficient had nothing to do with ancestral legacies. It didn’t even enter my head until last Wednesday. Now that we are here though, I have added incentive to learn about food plants, and to create a large vegetable garden and orchard of my own. I can’t wait for the day I’ll be able to walk around and identify each food by the plant leaves, rather than the handwritten signs planted alongside them.